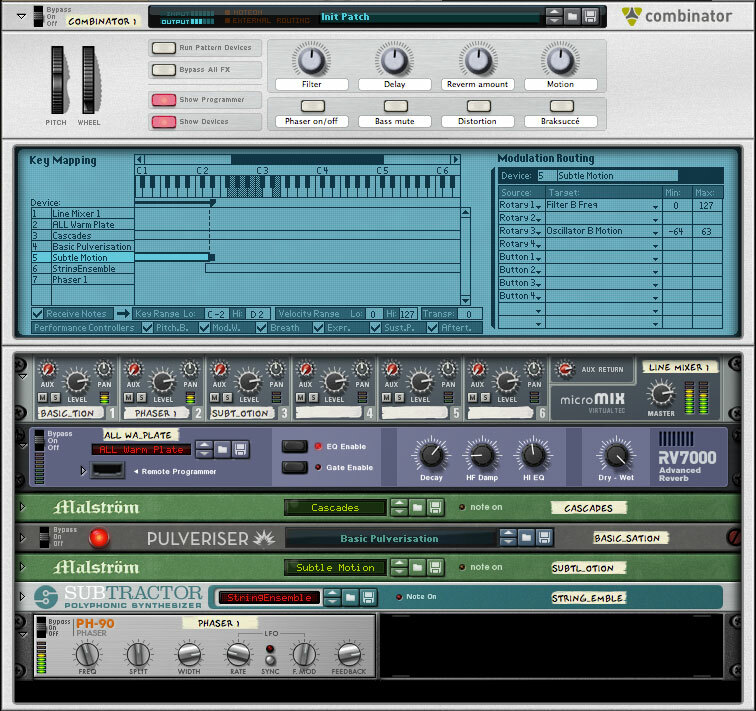 Build your dream instruments and load up fat, layered sounds in seconds with the Combinator, Reason's unique tool for combining and controlling devices. It's not an effect unit. It's not a synth. It sure isn't a sampler. It's… all of it. And more. 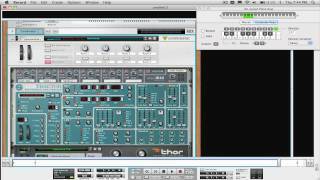 The Combinator is a sophisticated device that allows you to build elaborate chains of Reason units - instruments, effects, pattern sequencers, you name it - and save as Combi patches. When a Combi patch is opened, all units in the created setup are instantly loaded, complete with sounds, settings and routings. With its ability to load up complex instruments routed through effect units and dynamic processors in one go, the Combinator is an extremely playable, extremely performance-friendly device, perfect for both stage and studio use. The Combinator can house an unlimited number of Reason devices, which can all be combined, controlled and manipulated in ways limited only by your imagination. The Combinator's programmer window makes it a breeze to build ultra-thick, layered sounds using any number of synths and samplers, or create keyboard splits for mapping out different instruments across your MIDI keyboard. You can even alternate between instruments using velocity splits - play softly to trigger an NN-XT double bass, play harder and a Subtractor synth bass will take over. The Combinator's skinnable front panel holds four rotary controls and four buttons that can all be assigned to any function on any device in your combinator chain. True to the Reason tradition, this machine is very tweakable: try using rotary 1 to control the cutoff frequency on eight separate samplers simultaneously, and rotary 2 for simultaneous tweaking of multiple knobs on your favorite synth. While you're at it, use the assignable buttons for changing patterns in ReDrum or Matrix, or for muting mixer channels, or for switching effects on or off. The back of the Combinator reveals two crucial connectors: the Combi input jacks. If you're into extreme signal processing, these are for you; the combi ins allow you to use your Combinator as one humongous effect unit. Feed your sounds through endless chains of reverbs, delays, filters, modulators, distortion units… you get the idea. 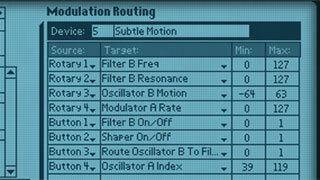 The Reason sound bank contains a good selection of freaky but useful effect patches to get you started. The Combinator is not an instrument in itself, but make use of its extraordinary combination and routing features and you'll soon be building your own unique instruments. 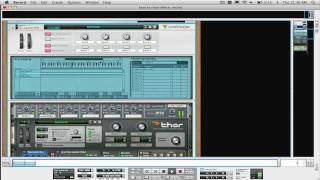 It's pretty safe to say that once you get familiar with the Combinator, which will take you about a minute, it will completely change the way you work in Reason.